Dinosaur Comics - November 23rd, 2018 - awesome fun times! –A CHIP ON HER SHOULDER?? November 23rd, 2018: TIME TRAVEL HEADBANDS HAVE ARRIVED!! This continues the story of Timmy from back in 2013! What wish will Timmy make next?! 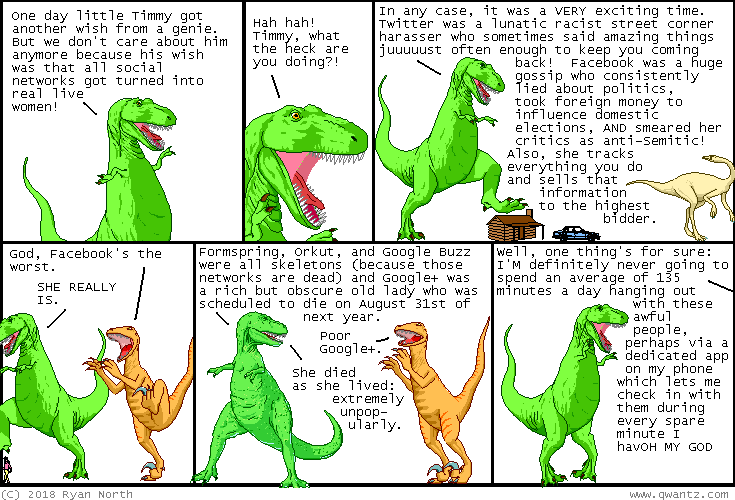 You'll just have to continue reading Dinosaur Comics for six more years to find out! !